The Right to Know Campaign says it will continue to stage protests outside the SABC studios on K E Masinga road in the coming weeks. 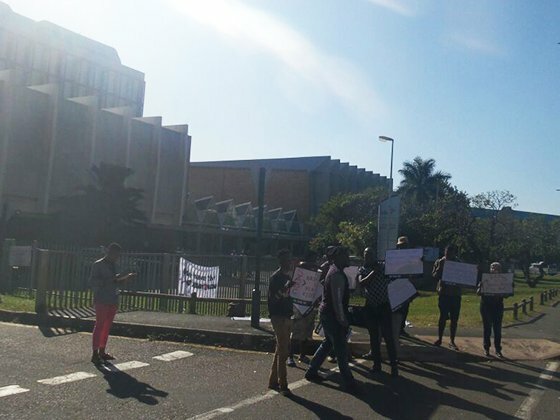 Yesterday a handful of the campaign's members gathered outside the studio protesting against what it calls the public broadcaster's self censorship. SABC COO Hlaudi Motsoeneng put a ban on protest footage on the SABC last month. KZN Spokesperson for the campaign, Thabane Miya says they will bring the station to a standstill. These protestors described their frustrations to Newswatch yesterday. ''We as South Africans we are demanding truth. We cannot stand watching television and being given half truth. We are a country that believes in democracy,'' said one protestor. ''Authentic news is what we are demanding as a country. This is not a Hlaudi republic, it is the Republic of South Africa,'' another fuming protestor said.